Pennsylvania and New Jersey are considering leasing them to firms. The states could get billions. But at what cost? The Downingtown interchange of the Pennsylvania Turnpike. "We're all feeling our way along here," the turnpike's vice chairman says. What is a turnpike worth? The answer to that billion-dollar question is critical in Pennsylvania and New Jersey, where venerable state-owned toll roads now are being viewed less as ribbons of commerce than as streams of revenue. Political leaders in both states are considering leasing the toll roads to private operators. What the states receive is clear: lots of cash. What they lose is the subject of intense debate. Estimates of the roads' value vary wildly - from $2 billion to $30 billion for the Pennsylvania Turnpike and from $12 billion to $38 billion or more for the New Jersey Turnpike and the Garden State Parkway. Because there are few examples to look to for guidance, the two states are essentially guinea pigs in their own experiments. "We're all feeling our way along here," said Tim Carson, vice chairman of the Pennsylvania Turnpike Commission. "A lot of people will be looking to Pennsylvania and the kind of decisions we make because the impact will be felt for generations." The states, eager to get money for transportation projects or debt relief, see their toll roads as potential cash cows. In a leasing arrangement, the state gives the right to operate the road - and collect tolls - to a company. In exchange, the company pays the state a lump sum, or a cash payment plus periodic shares of the revenue. So the crucial issue, for motorists and potential investors, is how high could tolls go? The higher the tolls, the more valuable the turnpike. So states find themselves with competing interests - to get as much money as possible or to keep highway users happy. And state residents also may be conflicted - as owners of the toll roads and as payers of the tolls. An operating company would pay more for a turnpike lease that permitted steep toll increases because that would maximize profit. Motorists - who are also voters - prefer small increases, or none at all. Indiana and Chicago, which have leased toll roads to Cintra/Maquarie, a Spanish-Australian company, agreed to tie annual toll increases to inflation indexes (the highest of the consumer price index or the gross domestic product per capita or 2 percent a year). "Remember, they're in it to make money, not for a social purpose," said Joseph Berechman, a transportation economist who is chair of the economics department at City College of New York. "For a state to do it itself, raising tolls is political suicide," said Alain Kornhauser, director of Princeton University's transportation program. "If a private entity has it, it's just a business decision - how much do you charge for the hamburger?" Another major consideration is the length of the lease. The longer the lease, the more valuable the toll road. But shorter leases give states more control. Investors in U.S. toll roads want leases of at least 50 years, while in Europe, companies accept leases about half that length. The difference? American tax regulations permit companies to gain the benefit of accelerated depreciation - to write off the cost of the road more quickly - if the lease is at least 50 years. So the Indiana Toll Road, for instance, was leased for 75 years for $3.8 billion and the Chicago Skyway for 99 years for $1.83 billion. Are those prices useful guidelines for Pennsylvania and New Jersey? Not necessarily, transportation economists say. Experts say the first desperate seller can set a low market price. Joseph Giglio, a transportation finance expert who is a professor at Northeastern University, cited "a lack of transparency in the previous transactions" that makes them difficult to compare for Pennsylvania or New Jersey. Also, the Indiana and Chicago roads have different user patterns than Pennsylvania's and New Jersey's. The Chicago Skyway is used heavily by out-of-state travelers, and the Indiana Toll Road is a truck route across the northern sliver of the state, used by few motorists in the state. The New Jersey and Pennsylvania toll roads are used by many in-state commuters. State Sen. Raymond J. Lesniak (D., Union), sponsor of a bill introduced this month to permit the state to lease the New Jersey Turnpike and the Garden State Parkway, estimated that the roads could be worth $15 billion to the state. Merrill Lynch & Co. estimated $22.4 billion. Kornhauser said the "potential is terrific" for the New Jersey roads, estimating they could be worth 10 times the Indiana lease of $3.8 billion. "And I could easily move north of that" $38 billion figure, he said. Robert Poole Jr., an advocate of leases and the director of transportation studies for the Reason Foundation in Los Angeles, estimated that Pennsylvania could get "probably between $10 billion and $20 billion" in a turnpike lease. If toll roads are so valuable, why don't states act like companies and make all that money themselves? That's a question raised by officials in both states. In New Jersey, Lesniak's bill would give the New Jersey Turnpike Authority the opportunity to match any private bidder's offer. 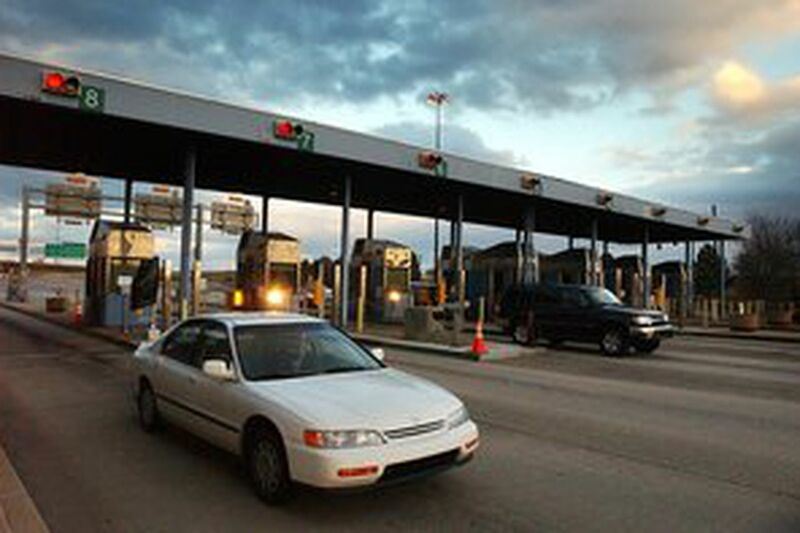 The Pennsylvania Turnpike Commission has suggested to Gov. Rendell that it could tap the value of the turnpike itself. "If you change the mission of the Turnpike Commission from running a break-even operation to one which is a more corporate-oriented, maximize-your-profit kind of thing, you could look at a public monetization of the turnpike," Carson said. For the states, the alchemy to transform asphalt into cash would lie in borrowing: The turnpike authorities could borrow against future toll increases and hand over the cash to the treasury. But the challenge would then be to guarantee that the toll increases would take place, however politically unpalatable they might be. Carson said the Pennsylvania Turnpike Commission had also suggested to Rendell that the state consider converting I-80 to a toll road to raise money for badly needed transportation projects. "We buy into the needs assessment," Carson said. "The situation with bridges is almost criminal. But there's no free lunch. Somebody always has to pay." And there are considerations other than money. "We need to price roads to manage congestion and pollution and plan for transportation growth, not merely focus on the financial value of our assets," said Daniel G. Chatman, director of research at Rutgers University's Alan M. Voorhees Transportation Center. "States are entering these kinds of transactions because of their desire to raise revenue. And when that becomes the impetus, government acts from government's interest, not necessarily the public interest."